Fireplace back in cast iron, decorative style of the eighteenth century, royalist. Here are represented the crown of the King with his crown of laurel and lilies, symbols of French royalty. Fireplace backs are used to radiate heat back into the room very effectively. The fireback is a cast iron plate affixed against the wall of the hearth of a fireplace to prevent heat from the fire does not get lost in the wall and back towards the room. 2. and also fire plate. 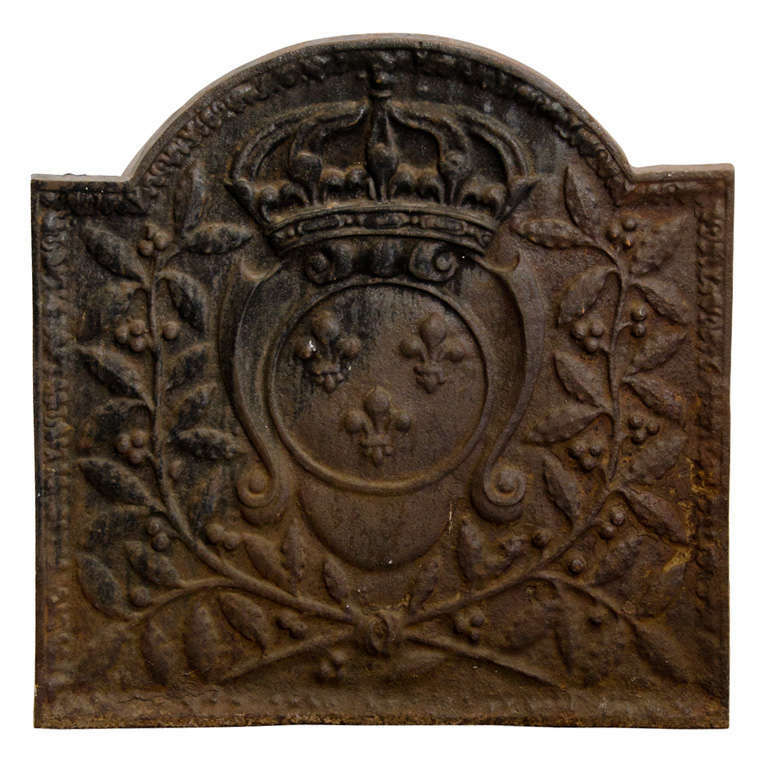 It usually has an embossed pattern and often the arms of the owner of the place and the date of its completion. A bit rusty from aging, but still good to use in the fireplace.